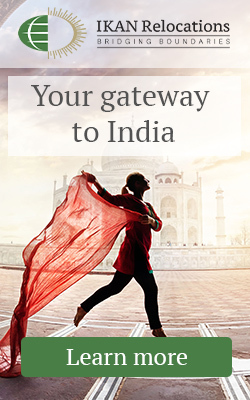 As one of the most diverse nations in the world, India can offer unique challenges for those seeking to work there. An awareness of the cultures of India can increase the chance of success for expats. India is characterised by more ethnic and religious groups than most other countries. Aside from the roughly 2000 castes, there are eight ‘major’ religions and 22 official languages. It is the second most populous country and the largest democracy in the world, with more than 1.2 billion people, 29 states and seven union territories. With its unmatched diversity and a contrasting character that can both be enthralling and mystifying, expats may encounter some culture surprises. India is a vibrant multi-cultured country, which is demonstrated by its myriad historical monuments, delicious cuisines, Bollywood movies, yoga and passion for cricket.If expats are patient and give themselves some time to adapt, it’s likely they will look at the country in an entirely different light as time passes.India presents immense opportunities to open up socially. Indians are warm, hospitable people. Hospitality is encouraged from an early age and expats are often surprised to see the extent to which Indians are helpful and always ready to socialise.Traditionally Indians have been considered as family oriented, religious, impatient, corrupt, group-dependent, time-insensitive, hierarchal and status conscious. These perceptions are being challenged as Indians move from age-old joint family systems to nuclear families and assume leadership roles in global businesses. When interacting with locals, it is important to recognise the country’s extreme diversity in terms of society, religion and language.While the official language is Hindi, the Constitution recognises 22 other languages. English is widely spoken and it is also the main business language in India.India has an amalgamation of local languages, with most Indians fluent in more than just their mother tongue. If you come across a group conversing in the local lingo, don’t take it as an affront – they aren’t talking secretively about you. It’s just their way of connecting with people.Indian languages, unlike English, differentiate between peers and those who are older and command respect. Do not refuse gestures of hospitality, including invitations to meals or visit to local temples or any other important cultural sites/activities. These are opportunities to build relationships and should be regarded as important as transactional business tasks.Indians express their pleasure in a different manner: with a smile or a nod of the head.Some in India can suffer from the ‘yes’ syndrome so be wary of the commitments you receive. As a hierarchical society, Indians seek to please their superiors and this extends to the workplace. Outsiders might feel that Indians over-commit and under-deliver. At the workplace you might often find them desiring power but avoiding accountability. Typically Indians are entrepreneurial and always on the lookout for better opportunities. The younger generation tend to be well-informed, tech-savvy and avid fans of western music. They are also accomplished in academic excellence and personal success, making them a sought-after workforce.As a polychronic culture, people tend to change priorities depending on their importance; attitude towards punctuality is relaxed. Most large global organisations require adherence to strict deadlines and fast decision-making, some struggle to cope with the idea that when doing business in India, time cannot be controlled and is not absolute.